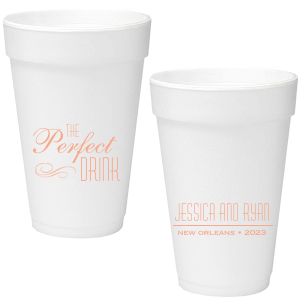 Customize 16 ounce foam cups to serve cold to-go drinks or warm drinks at your wedding reception. 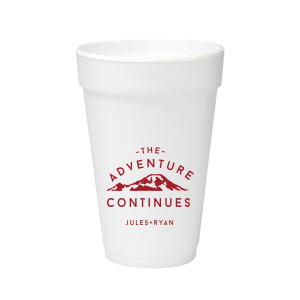 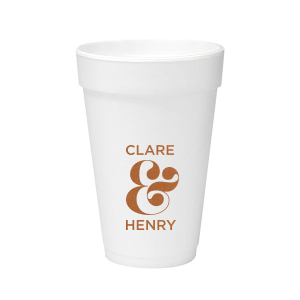 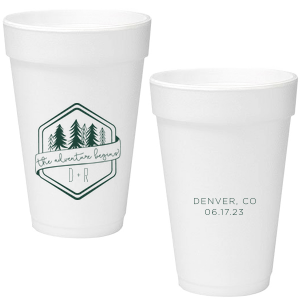 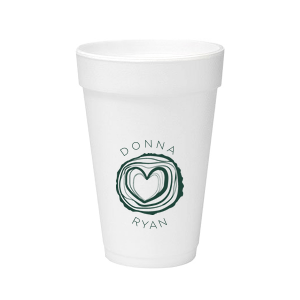 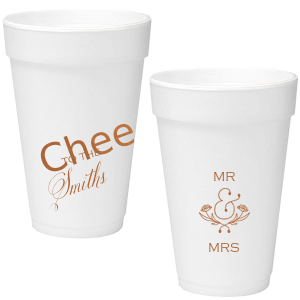 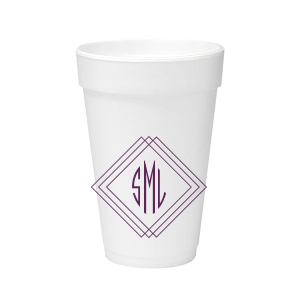 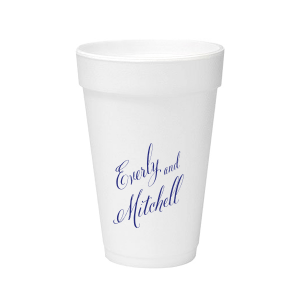 Imagine these personalized styrofoam cups on your wedding hot chocolate bar or outdoor drink station. 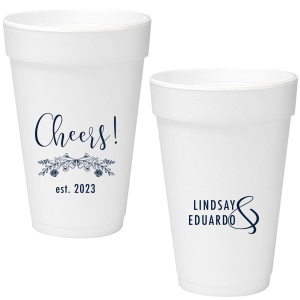 Choose from one of our designer-made styles below or create your own look for unique 16 oz styrofoam wedding cups. 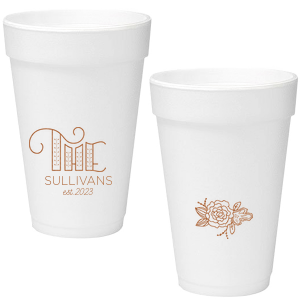 Create a wedding detail you'll enjoy using and love seeing on the bar with personalized 16 oz foam cups. 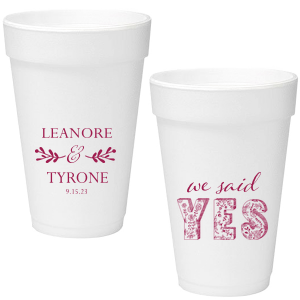 These 16 oz styrofoam cups will give your wedding guests a generous serving of your favorite drink—while keeping it hot or cold at the same time! 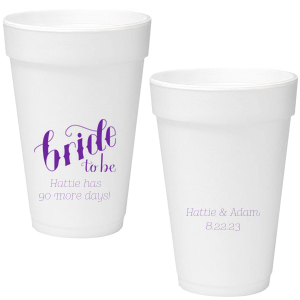 You can also get creative and use your foam wedding cups on your ice cream bar with all the toppings. 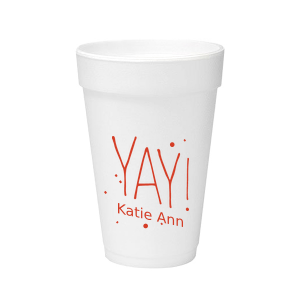 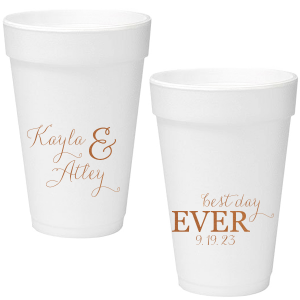 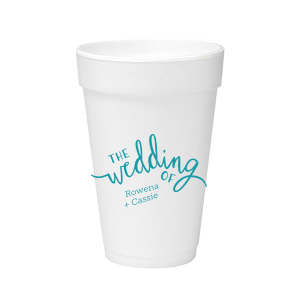 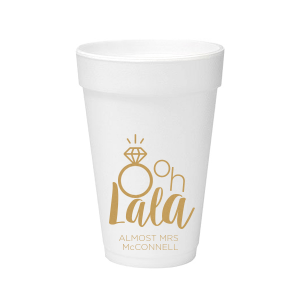 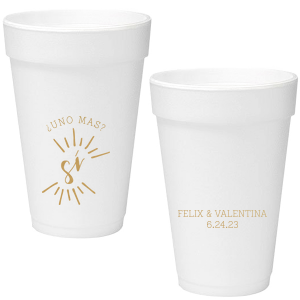 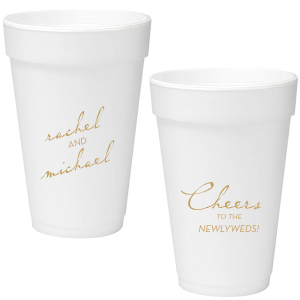 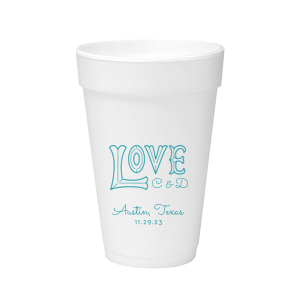 Use this custom wedding styrofoam cups to showcase your wedding theme in every detail. 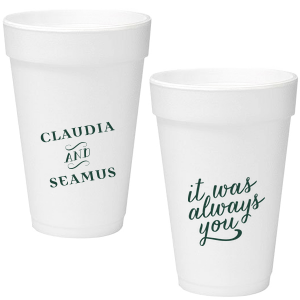 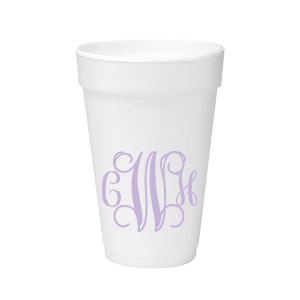 Each 16 oz foam cup will serve as the perfect background for your classic wedding monogram, trendy wedding word art or sentimental wedding graphic. 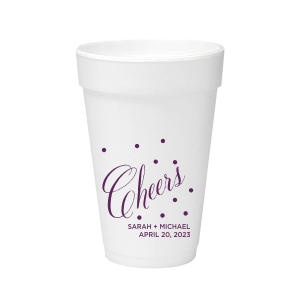 Choose your print color to be sure your wedding styrofoam cups coordinate with your wedding color palette. 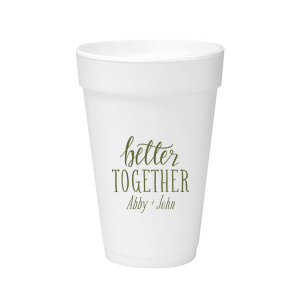 Design your 16 oz foam wedding cups with For Your Party today!